Barclays has announced a major new partnership with Business in the Community NI to support the delivery of its UK-wide LifeSkills employability programme for young people in Northern Ireland. LifeSkills created with Barclays is a free curriculum-linked resource for 11-24 year olds, which aims to inspire, educate and empower young people, by giving them access to employability skills to support the transition from education to work. Business in the Community has been named as the programme’s new charity partner in Northern Ireland and will support its delivery in classrooms across the country, reaching 21,000 students and hundreds of local teachers over the next two years. LifeSkills created with Barclays was launched in 2013. Schools, colleges and young people UK-wide have participated in the programme. 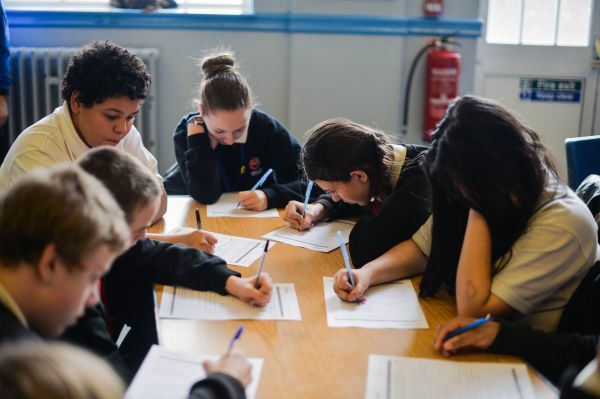 Through LifeSkills, Barclays’ employees volunteer in secondary schools and colleges to deliver the programme, which focuses on three core modules: work skills, people skills and money skills. Young people learn skills such as CV writing, interview techniques, networking, problem solving, creativity, resilience, communication and managing online reputation. Barclays’ Adrian Doran is particularly pleased that the new partnership will mean that the LifeSkills programme can now make an impact where it matters most. He said, “In an ever-evolving careers landscape which is increasingly competitive, it is vitally important that all young people are given the same opportunities to gain the core transferable skills that employers are looking for. It’s a big pressure: they need not only the academic results, but the skills that we know businesses need now and in the future as technology reshapes our working world. Kieran Harding, Managing Director of Business in the Community NI said, “This programme aligns directly with our Education and Jobs campaign, seeking to inspire young people and support them to be ready for the world of work. We are delighted to have been appointed as the partner responsible for supporting the delivery of LifeSkills in Northern Ireland, now joining our colleagues in Scotland and Wales, who are already working to deliver the initiative in their regions. Post-primary schools can apply for LifeSkills support by contacting Dervla Stong, or calling (028) 9046 0606.